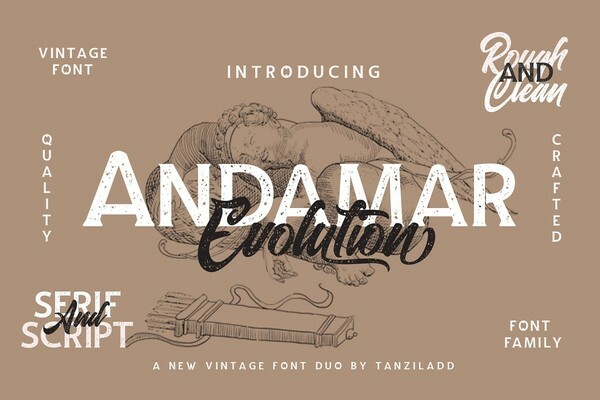 Andamar Font Family is a packaging font family designed to become a favorite treat, As we go through the design and development stage, we was really drawn to how round and thick it was turning out and I liked this look - it makes it a vintage font with a high level of legibility. Andamar Family really perfect for creative project such as packaging, logo, T-shirt / apparel, badge, invitation, headline, poster, magazine, greeting card, and wedding invitation. This items is Free File of the week! And available free until February 11, 2019!